Netherlands first to operate a self-driving shuttle in public traffic? The competition for low-speed self-driving vehicles in public traffic is heating up. 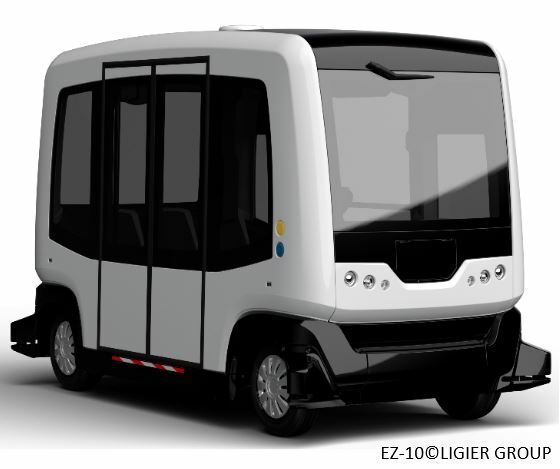 Now the executive council of Dutch ministers has given the green light for running two driverless shuttles in the Dutch city of Wageningen starting in December 2015. The electric shuttles will carry up to 8 persons from a train station to the university on a stretch of approximately 6km on public roads with a maximum speed of 50km/h. Although these will be tests, the shuttles will operate autonomously without safety drivers on board. The shuttles’ operations will be monitored remotely. Before the shuttles be placed in service both chambers of the Dutch parliament need to amend Dutch traffic law. If everything goes according to plan, the world’s first fully autonomous shuttles without backup driver on board could make history in the Netherlands in December!